Ready or not, Wilder crossing the pond! 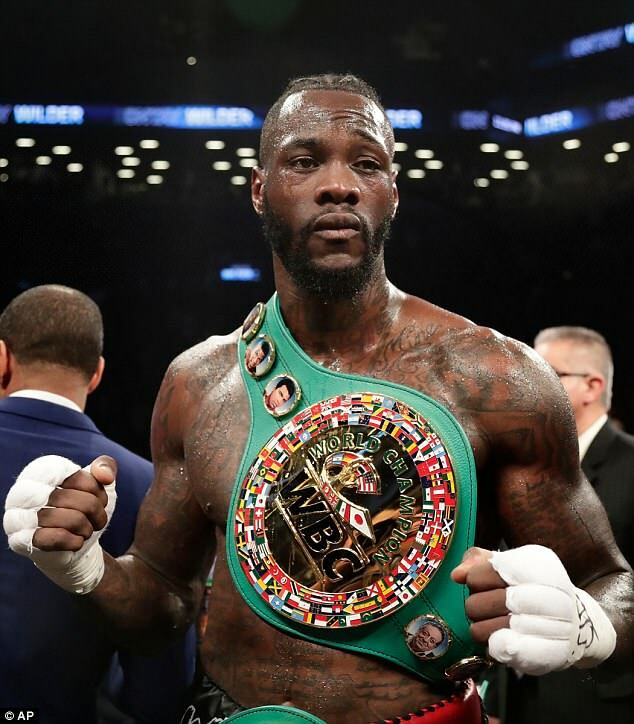 Deontay Wilder has accepted Anthony Joshua‘s challenge to fight him next in the UK and has urged the unified world champion to begin negotiations with him ‘immediately’. 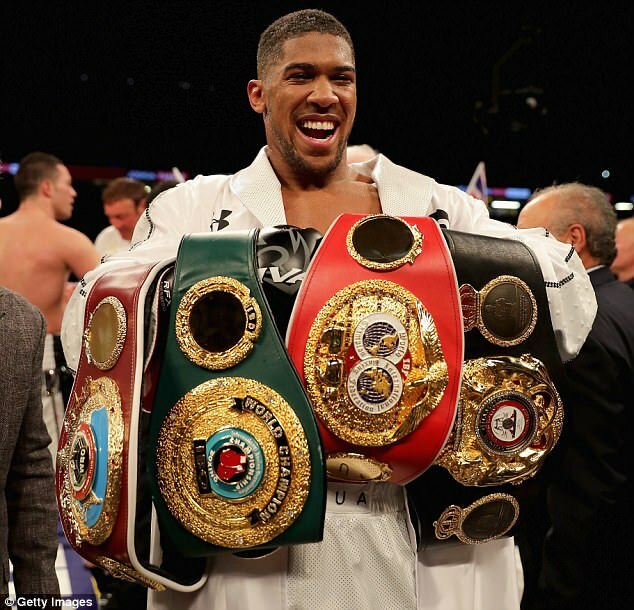 Joshua called out the WBC champion in the aftermath of his unanimous points victory over Joseph Parker at the Principality Stadium last Saturday – which saw him add the WBO belt to his IBF, IBO and WBA straps. And the American has now responded to his rival, by insisting he is ‘ready’ to cross the pond to face him in a blockbuster heavyweight showdown. ‘First of all, I want to congratulate Anthony Joshua on his win last Saturday night,’ he said in a statement on Tuesday. ‘Anthony, I am so glad we finally heard from you on Saturday and that you want to fight me as your next opponent and you want the fight to happen in the UK. ‘I accept that challenge and I am ready to come to the UK for my next fight. There is nothing on Team Wilder’s side to prevent me from fighting you next. ‘You also said on Saturday that your team is ready to meet with [Wilder co-managers] Shelly Finkel and Al Haymon from my side to get this deal done. ‘They are also ready to meet with your team immediately. Let us know when – the sooner the better. Wilder, who has won all 40 of his professional fights, holds the only belt the Brit needs to become the first undisputed heavyweight champion since Lennox Lewis in the early 2000s. 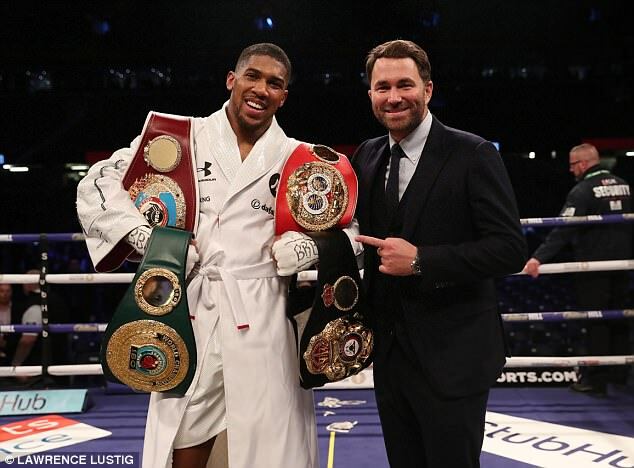 Matchroom promoter Eddie Hearn is keen to make the fight happen but insisted on Sunday morning that there is only a small window of opportunity before Joshua will have to fulfil his mandatory duties. 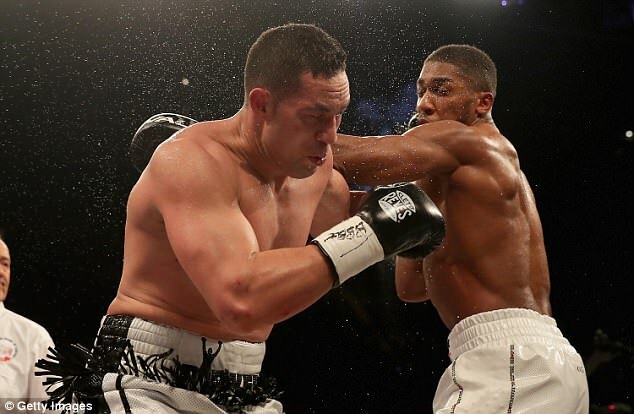 Following his victory over New Zealander, Parker, Joshua said: ‘Are you asking me if I want to become undisputed champion of the world? IBO, IBF, WBA, WBO – 21 professional fights, six world titles fights. Does that not show how good I’m going? Forget the hype, I’m about business, let’s get the business done. 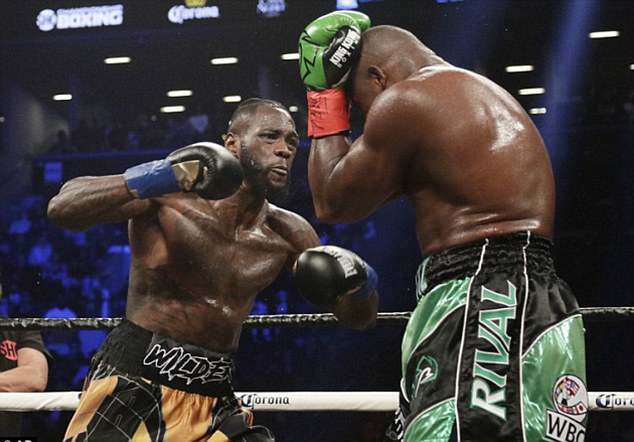 Joshua’s stablemate and former victim Dillian Whyte was also keen to fight Wilder next after demolishing Lucas Browne inside six rounds last month. However, Hearn has since revealed Whyte has been ordered to meet Kubrat Pulev in a final eliminator for the mandatory position to Joshua’s IBF belt.